One of FB Purity’s many useful functions is an option titled “News Sort: Most Recent” which when turned on, will keep your Facebook newsfeed permanently on the “Most Recent” feed. 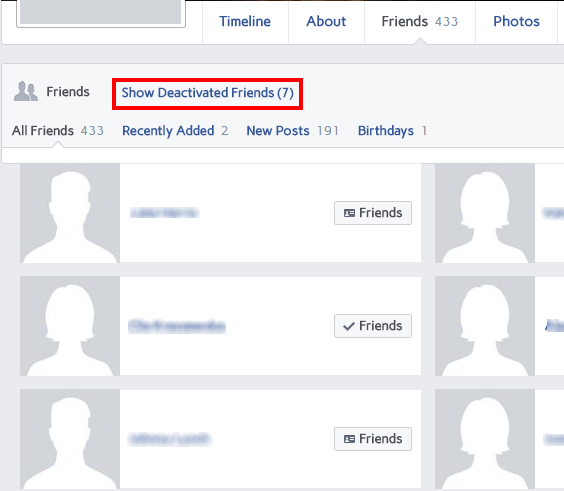 Added “Show Deactivated Friends” list functionality to Friends page. Fixed send message button on Pages when “Full screen chat” options is turned on. New option “Bring back square profile pics” to make round profile pictures square again, this option also changes the comment boxes from rounded rectangles back to normal rectangles. The option is located under the “Further Options” heading on the FBP options screen. FB Purity is now available as an official Microsoft Edge extension available directly from the Microsoft Edge store So the old method of installing the FBP GM Script via the Tampermonkey extension is no longer required. If you install the official Edge FBP extension from the Microsoft Edge store, it should auto update when new versions are released in future. If you have installed the FBP Chrome extension via the “Inline Install” method (by clicking the green “Install F.B. Purity” button on the FBP Install page) or directly via the Chrome Webstore, you should now receive automatic updates (Chrome checks for extension updates once every 5 hours). If you don’t want to wait, and know an update is available you can force an update by turning on “Developer Mode” on the Chrome extensions management page, then clicking the “Update Extensions Now” button (make sure you don’t have any facebook tabs open, so Chrome can unload the existing version first). All other FBP users can update to the latest version of FB Purity by clicking the green “Install F.B. Purity” button on the FB Purity Install page on FBPURITY.COM and then following the on screen instructions. If you have any problems with or questions about FBP, please use the available help resources on this website, including the FBP User Guide, and FBP FAQ page which includes a comprehensive Troubleshooting Guide that you should follow if you have any problems. Please also tell all your Facebook friends and family about FBP too, cheers! Facebook driving you crazy? Don’t get mad, Get FB Purity! For those who don’t already know, FB Purity is a safe, free and top rated web browser extension for Google Chrome, Firefox, Edge, Safari, Opera and Maxthon. It lets you clean up the junk and customize Facebook the way you want it to be. It has many cool features, such as hiding all the ads, alerting you when friends un-friend you, letting you change the site’s colours, fonts and background image, it lets you stay on the “Most Recent” feed permanently and lots more. 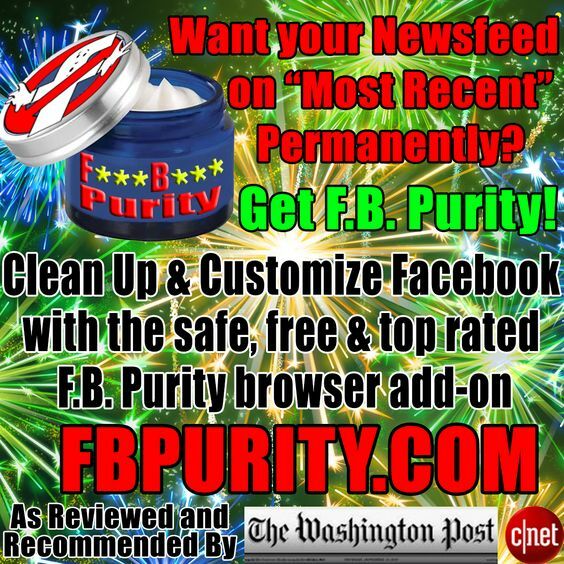 FB Purity has been reviewed and highly recommended in many places including the Washington Post, CNET, PCWorld, MacWorld, GetConnected etc and has over 369,000 users worldwide. This entry was posted in Facebook, FB Purity and tagged clean up facebook, clear ad preferences, Customize Facebook, Facebook, facebook purity, FB Purity, fb purity for ms edge, fb purity in microsoft edge store, FBP Update, fluff busting purity, hide movies in left column, hide places trending today, hide popular across facebook, hide related articles, hide safety check, hide start a plan button, hide stories box, hide top 5 places near you, hide watch, hide watch in left column, hide watchlist box, make round profile pics square, microsoft edge, microsoft edge store, places trending today, popular across facebook, related articels, related articles, sort facebook newsfeed by most recent, top 5 places near you, view deactivated friends, view inactive friends, view newsfeed as most recent. Bookmark the permalink. Love the tool, very useful thank you! Is there an option so that groups can be set to “New Posts” rather than the default (and annoying) “Recent Activity” please? Is there such a function to disable the damn “top posts across facebook ” in FBP? if it appears in the newsfeed (the middle column of news) have you tried using the Text Filter?